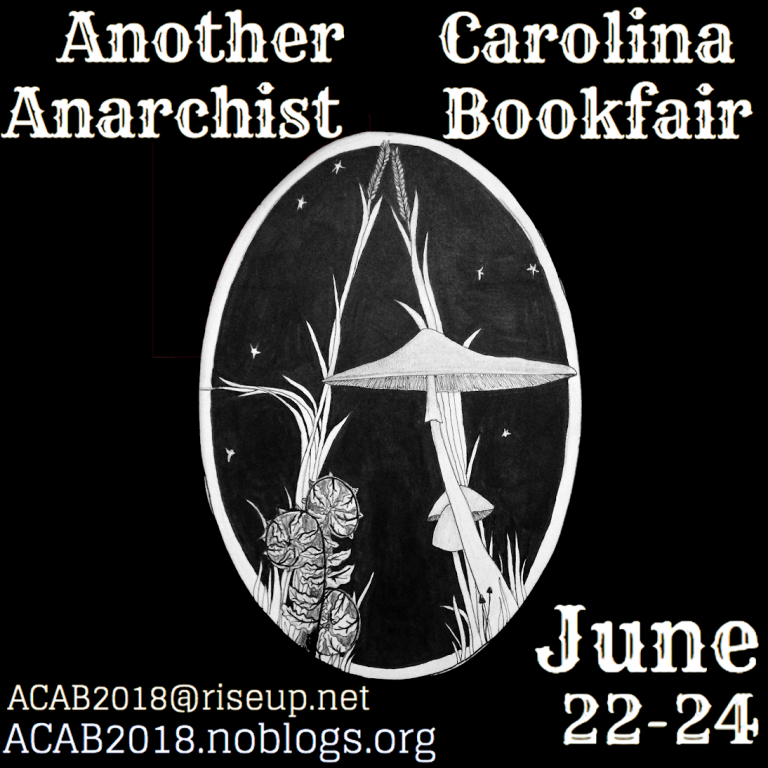 During the weekend of June 22-24, Asheville, North Carolina will host the second annual Another Carolina Anarchist Bookfair (ACAB). Last year, hundreds of people from the southeast and beyond participated in workshops, talks, panels, community building, skill sharing, and celebrating resistance. Dozens of presses, publishers, radical and anarchist groups displayed their books, zines, artwork, and promoted their projects. This year will be even better, as we continue to build sites of resistance, structures of counterpower, and networks of solidarity across the region and the world. Originally published by Another Carolina Anarchist Bookfair. Do you have skills to help build the future we want to see? We want to offer a diverse and comprehensive range of activities that could include analysis and theory, models of organizing, anti-repression, environmental resistance, physical and community self-defense, technological offensive & defensive practices, abolition & transformative justice, and more. Sign ups for vending and workshops is now open! The deadline is April 15. Click here to sign up and get more information! Do you have a radical grassroots project, an independent press, anarchist publishing group/distro, cool anarchist and anti-racist merch, or just someone who would like a table to promote your project?! This form is for those interested in tabling or vending at Another Carolina Anarchist Bookfair, the vendor/tabling portion will take place both Saturday 23 & Sunday 24. You can table one or both days. The deadline for Signing up is April 15. To see our list of vendors/workshops from last year, check out our 2017 website HERE!